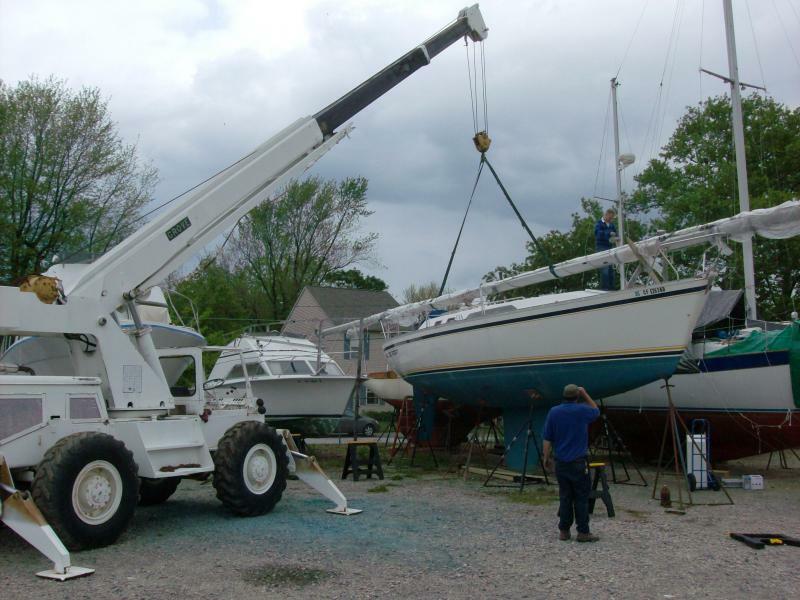 A full service marina, Delaware City Marina offers a complete array of marine services for every boater and every boat. FRESHEST, LOCALLY GROWN MARINE GAS AND DIESEL ANYWHERE ON PLANET EARTH! 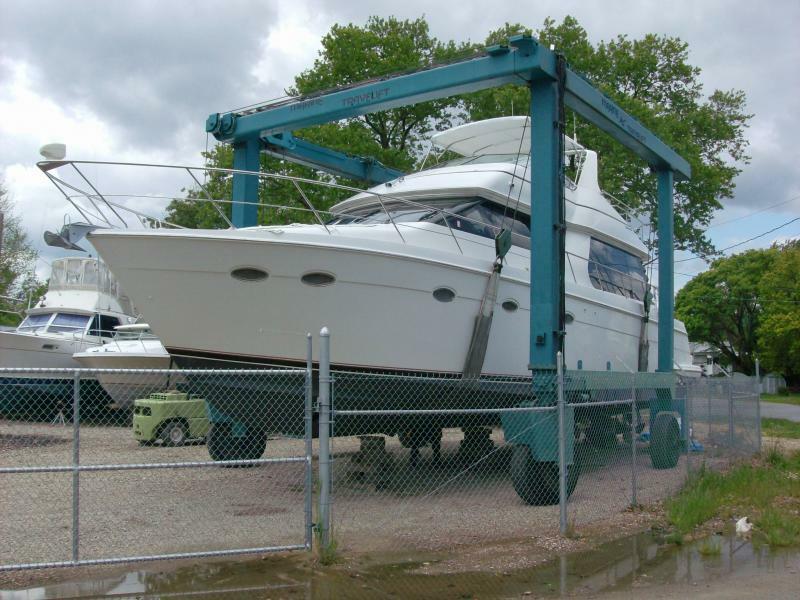 Above: Our Marine Travel Lift handles vessels to 35-tons with beams up to 18.5'. 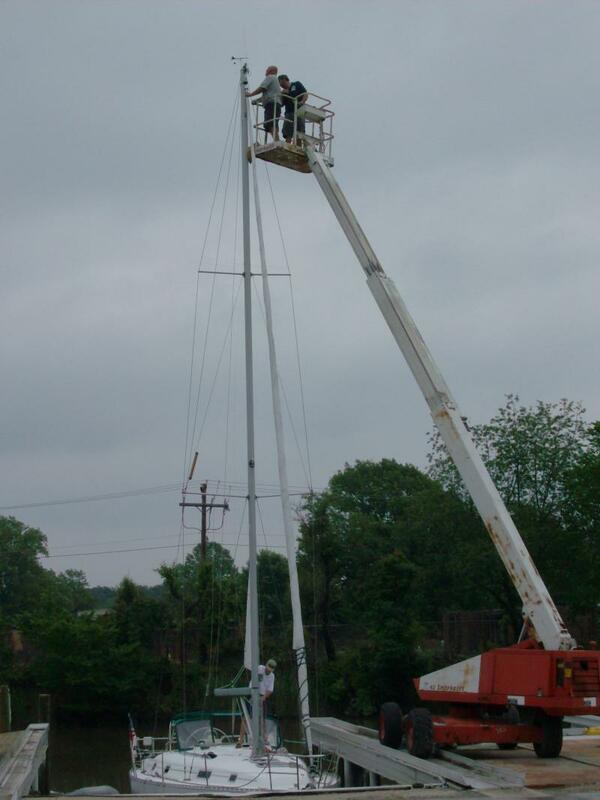 Below: Our on-site crane assists in erecting a sailboat mast. Below: If you have an itch in tall places...we can scratch it!